UPTOWN CHARM MEETS DOWNTOWN STYLE: Located on one of the most BEAUTIFUL BLOCKS on the Upper East Side, this sought after BING AND BING building - part of the landmarked Eastgate complex, offers a full-time doorman and superintendent to ensure a full-service lifestyle and peace of mind living. 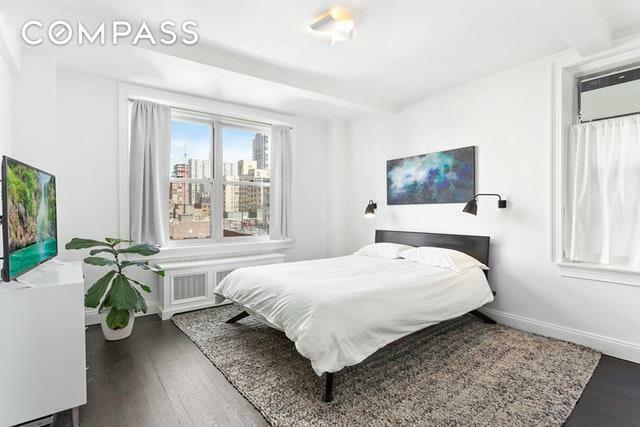 This sunny north-facing OVERSIZED 950SF one bedroom home with open protected views is a perfect combination of old-world charm and clean modern finishes METICULOUSLY RENOVATED and featuring a ethanol FIREPLACE, high beamed ceilings, and a spacious foyer. The newly refinished flooring throughout is triple-coated in rich ebony with 10" moldings adding depth to the contemporary white design in every room. The home boasts incredible storage space including a coat closet and TWO WALK-IN CLOSETS with custom Elfa shelving.The WINDOWED KITCHEN is fully renovated with white marble countertops and subway tile backsplash, a 36-bottle Liebherr wine cooler, Miele microwave, Bertazzoni gas range, ebony finished hardwood breakfast bar, and ample cabinet storage space. The bright and spacious bedroom has northern and eastern exposures with a large walk-in custom built closet with ample space for any New York City wardrobe. 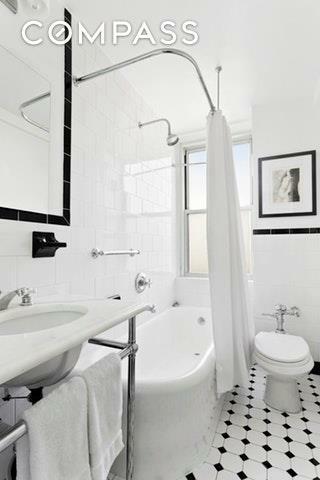 The traditional-style windowed bathroom has black and white tile flooring and marble vanity. 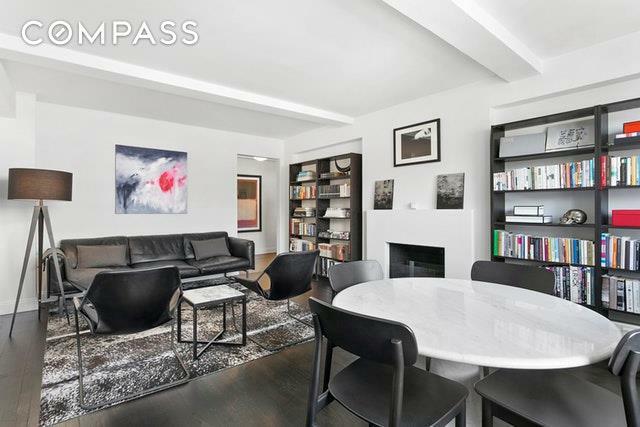 Eastgate's 215 E 73rd Street is a FULL-SERVICE prewar co-op on arguably one of the most picturesque treelined blocks in the city. This building offers a recently renovated GYM, a full-time doorman, live-in superintendent, a large laundry room in the basement (potential to add a W/D to unit with board approval), additional storage, and BIKE ROOM. A quaint COURTYARD awaits residents in the back of the building where they can enjoy a glass of wine or a quiet place to read during warm seasons. Pied-a-terres, and guarantor purchases are considered on a case-by-case basis. This idyllic Upper East Side location is close to the new 2nd Ave subway entrance and one block from the most efficient subway, the Q train. It is a short walk to the Central Park entrance at E 72nd St, fine dining, and world-class shopping. There is a 25% minimum downpayment requirement, and the maintenance fees INCLUDE all ELECTRIC BILLS. 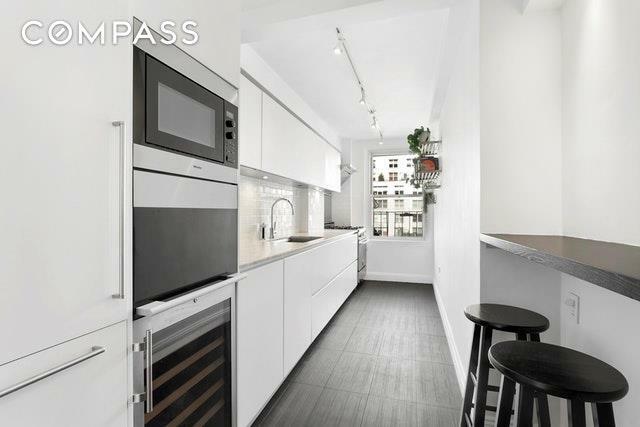 If you are seeking a quintessential Upper East Side home, look no further! Note: $8k assessment paid off in full by the sellers which has funded an entire facade restoration and will fund a complete lobby renovation.